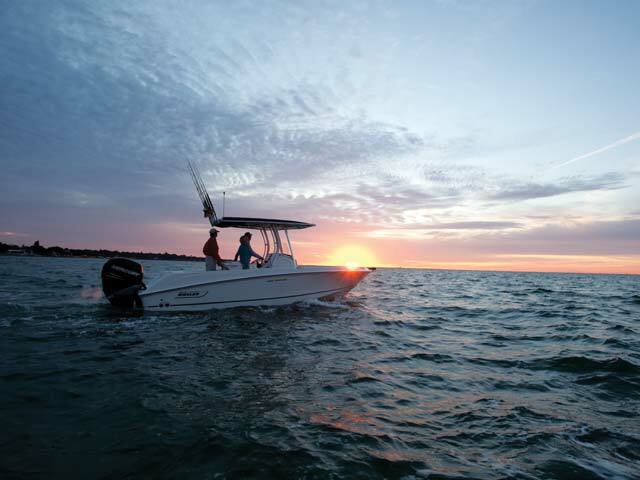 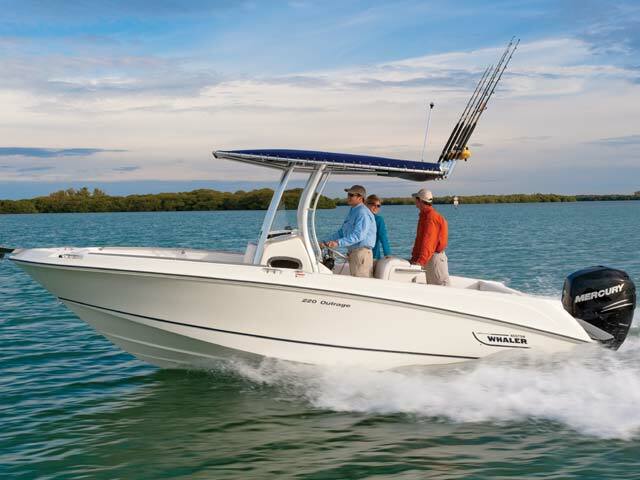 Whether you favor fishing, entertaining or cruising, Boston Whaler’s 230 Outrage is up to the task. 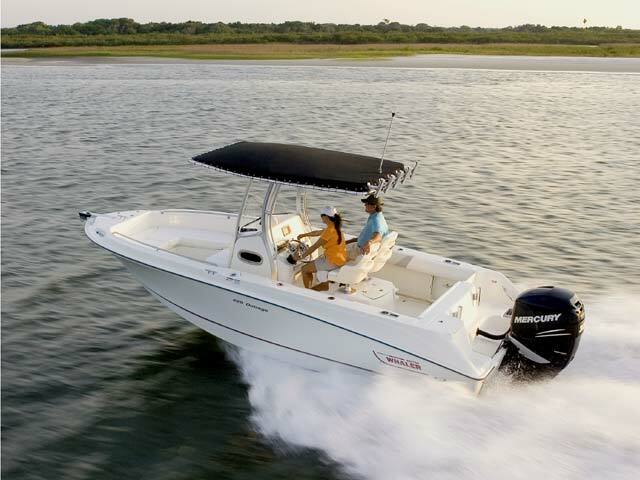 Easy trailerability means you can reach any fishing spot or quiet cove in this boat, and capacity for 10 people means your whole crew can ride along in comfort. 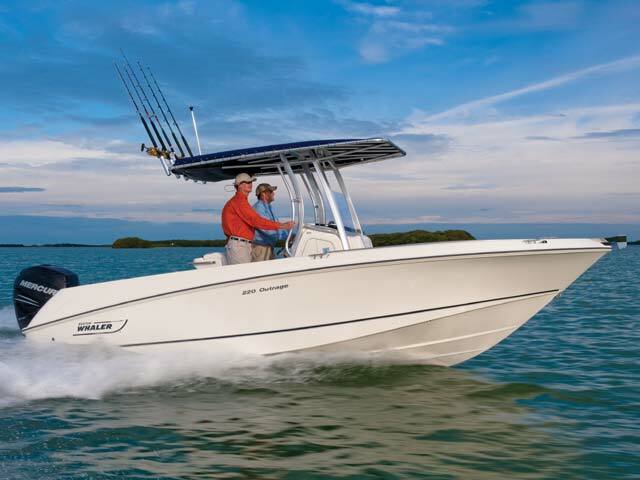 Boston Whaler’s deep-V hull and standard 225-hp Mercury FourStroke Verado power combine to deliver incredible efficiency and a smooth, dry ride. 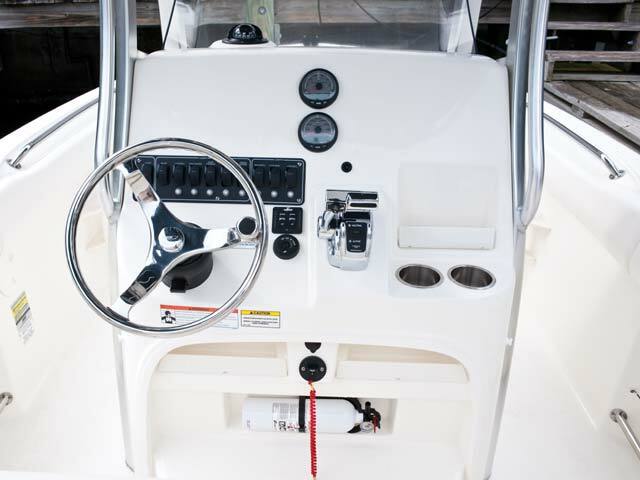 Available features include a unique T-top, Mercury’s VesselView display, a fishing package with fishbox pump-out, fishing station, raw-water washdown and transom-mounted rod holders, and twin-engine options with 115- or 150-hp Mercury FourStroke Verados. 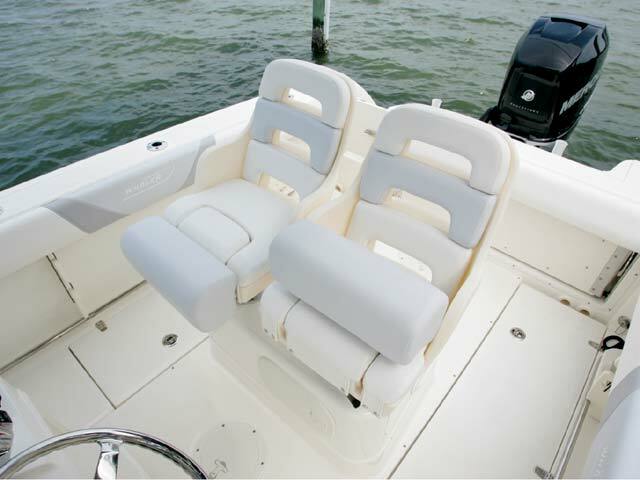 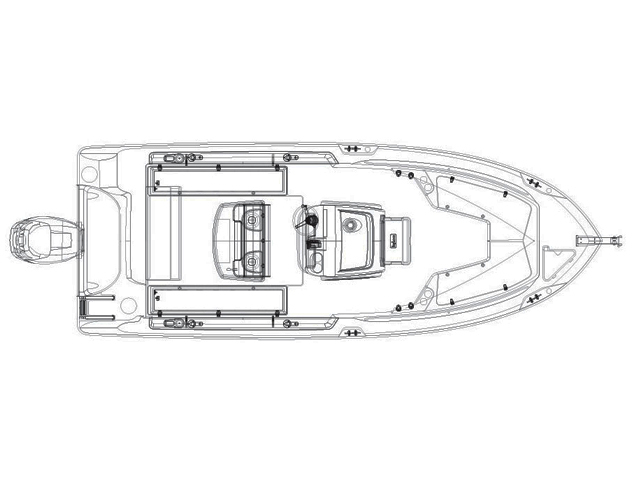 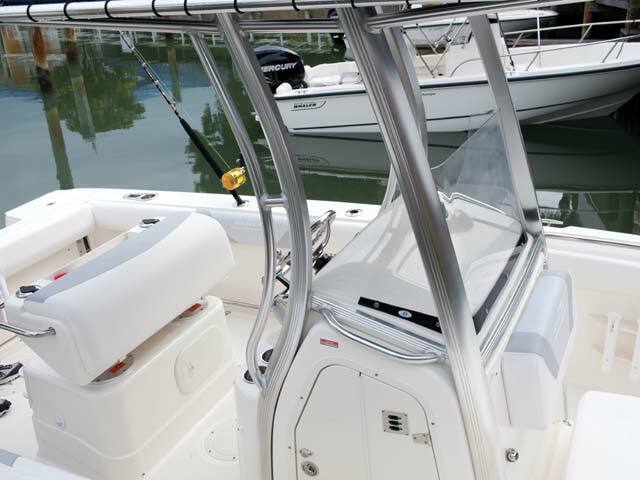 Any way you slice it, you and your new Boston Whaler Outrage will be a perfect match.